Situated on the east end of Little Village, this is a rare opportunity as brick 3 units do not hit the market often and this one will not last long! The building offers an amazing layout with 3 units which feature 2 bedrooms per unit, each unit offers separate heating systems, large open kitchen in each unit, enclosed rear porches, 2 car garage and nothing but potential here. Rehab and renat while equity grows, live in one while the others pay your mortgage, either way this is a win win situation. 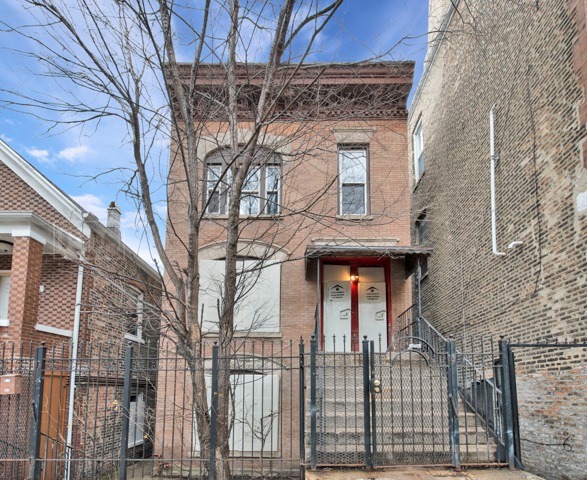 The location could not be more desirable, walk to train, blocks from Douglas Park, minutes from Pilsen and Little Village, the list goes on! Get inside today as this one will be gone real quick!